You are invited to be among the first audience members to hear the words of this new play, even before the book is published! More important, the questions and comments you provide will help shape the look and feel of the final production. And most important, your participation and feedback in this premier event can help propel Wounded Angels to a full main-stage production in the future. 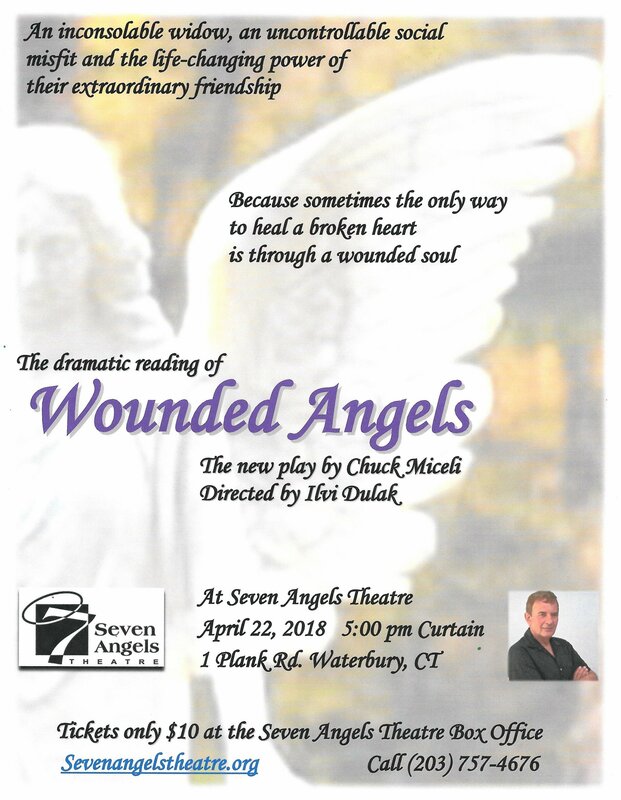 I am honored and excited to announce the dramatic reading of my new play, Wounded Angels, on April 22, 2018 at Seven Angels Theatre, 1 Plank Road, Waterbury, CT. Wounded Angels is rooted in the real-life experiences of people who have managed life and love after loss. 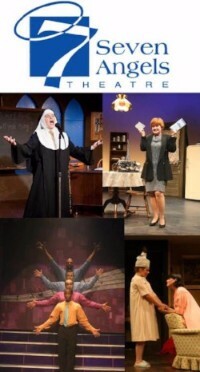 Set in the Bristol and Southington CT region, the touching, sometimes hilarious, Wounded Angels traces the antics of two women who are unwittingly on a mission to save each other in spite of themselves. When an inconsolable widow, Maureen Russo, is befriended by an uncontrollable social misfit, Doris Cantrell, these two dysfunctional women manage to support, help and heal one another, not despite their disabilities but because of them. In the dramatic reading, the full cast will perform a complete reading of the two-act play with limited lighting, sound and staging. With sufficient interest and positive reaction, Wounded Angels will be a huge step closer to becoming a major theatrical stage production and you can play a crucial role in making that happen. Please mark your calendars to attend this premier event and share this information as widely as possible with your own contacts. Feel free to invite other family, friends and associates to attend the production with you. The origin of the story is as compelling as the play itself and I welcome the opportunity to share the “story behind the story”. If you are a member of an organization seeking a dynamic speaker, presenting a compelling topic, please pass along my contact information. You can find more information about me and Wounded Angels on my website: AuthorChuckMiceli.com and can contact me directly via e-mail at Chuck@AuthorChuckMiceli.com. My website is also the place where new people can sign up for future notices regarding my writing activities. I also welcome any radio, television or print news interviews with interested journalists and will happily follow up on all referrals. Thank you for your interest in Wounded Angels and I look forward to meeting with you personally at Seven Angels Theatre. If you are, like me, an author, on this page you will find links and information that I personally have found useful. I welcome your input and suggestions. Thanks for Visiting - come back soon!